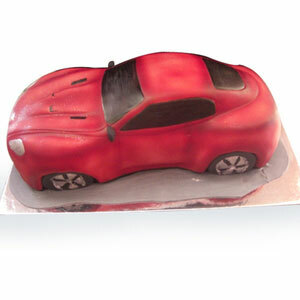 This delicious cake in the shape of car is a right choice for the car lovers. Its available in chocolate flavour and weight 3.5kg. Cake shape, decoration and icing may differ from the image displayed. We need one day advance order for Special Shape Cake. The above product will be delivered only in the 19 cities mentioned above. We will attempt delivery of the items once. Incase the delivery is not executed during the attempt, due to wrong address/recipient not available/premises locked, the customer shall still be charged for the order. The image displayed in indicative in nature. Actual product may vary in shape or design as per the availability.